Following the fall of the Soviet Union in 1989, the borders hitherto separating Greek culture and society from its contiguous Balkan polities came down, and Greeks had to reorient themselves toward their immediate neighbors and redefine their place within Europe and the new, more fluid global order. Projecting the political foresight and mustering the modernization policies to succeed in such an undertaking turned out to be no small feat, especially as the regional conflicts that had lain dormant during the Cold War were revived. 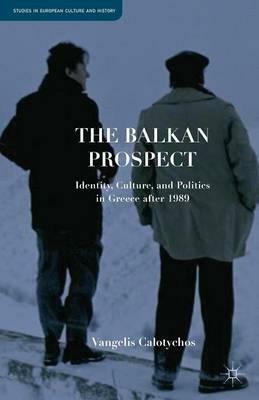 Synthesizing the cultural, political, and historical into a sophisticated, interdisciplinary analysis, this innovative study untangles the prolonged 'historical moment' in which Greece and Europe were effectively held hostage to events in the Balkans - just at the time when both hoped to serve as the region's welcoming hosts. Illustrations note XI, 271 p.
Vangelis Calotychos is Associate Professor of Modern Greek Literature and Culture, at the Program in Hellenic Studies, Department of Classics, Columbia University, USA.